Toronto is known for flooding, and as a result more and more historic buildings are incurring water damage and in need of flood restoration. The key to preserving the sanctity of a heritage building is properly conducted flood restorations. When the city floods due to weather, or one single house floods due to faulty piping, damage is often unavoidable. If floods have damaged a heritage building the proper restoration tactics differ from a newer building in order to prevent further damage of historic artifacts. It is so important that all historic buildings are properly fixed but it’s an under-appreciated topic amongst the majority. As a result, too many of Canada’s historic buildings have been damaged by poorly conducted restorations. Canada has many heritage buildings and as a result the Federal Canada’s Historic Places Initiative (HPI) exists to protect and preserve the many historical elements of our country. The Federal Government owns the largest number of heritage properties throughout Canada with around 60,000 properties. The goal is to keep these buildings in use so that they remain purposeful, treasured and most importantly preserved for future generations. The most important thing you can do for any older building prone to flooding is make sure all maintenance is completed on time, all the time. 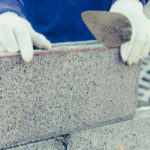 Keep masonry well sealed and fix any crumbling or breaking down joints as they arise. 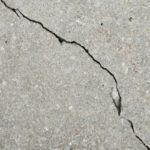 The surrounding property and drainage methods also need to be closely inspected. Localized flooding can impact an old building due to something as simple as a blocked drain. Temporary flood barriers, such as bags, can also be used to help reduce damage when flooding occurs. How Much Damage Does Flooding Cause? How deep the water reached and how fast it was moving. How long the building remained soaked in water. The type and amount of contaminants present in the floodwaters. How long it takes before the drying process begins. Shallow flooding does not typically cause serious issues, unless a cellar, basement or other entrance beneath ground floors floods. Typically, more serious flood damage only occurs once waters reach above floor level. The extent of damage will differ depending on the historical building’s materials. The drying out process must be carefully conducted to prevent a worsening of problems. In an ideal situation the water drains and evaporates naturally, but in some cases additional measures are needed such as creating new drainage holes or using a water pump. Using a pump can turn ugly if the walls are thin and the water too high, thus creating a pressure that may cause the walls to literally collapse inwards. 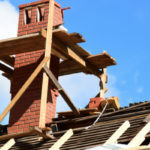 If a building is dried out too quickly it can cause organic materials, such as timber, to shrink, split, or even twist completely out of place if restrained by panels. Inorganic materials are not nearly as likely to experience issues like this. 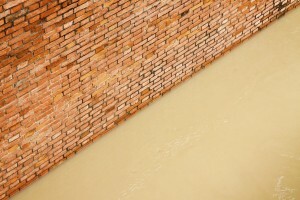 Masonry walls exposed to flooding are likely to show signs of efflorescence, which is the visible presence of salts left behind after water evaporates. These salt crystals gravitate towards the surface of masonry to create the white stained appearance. How Likely Is Toronto Flood Damage? Toronto floods seem to happen more and more lately. It almost feels like every serious storm causes Toronto streets to flood, but in actuality only 5% of all storms produce flood conditions. It is the short thunderstorms that bring about huge amounts of rain all at once. When too much rain hits in a short amount of time the infrastructure clogs up and can’t properly distribute all of the water at once. Toronto Water reports a rise in severe weather and storms in recent years. As a result they say this adds pressure to sewer and road drainage, which easily overwhelms the system and causes basements and other surfaces to flood. May 12, 2000: 3,000 basement floods were reported. August 19, 2005: In three hours 4,100 basements were documented as flooded. July 8, 2013: 100 mm of rain fell on Toronto in less than 90 minutes, causing 4,800 reports to the City regarding flooded basements. Depending on where you live throughout Toronto your risk for flood damage fluctuates. 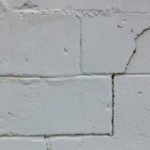 There are improperly conducted masonry repairs going on everyday in Toronto, simply because the historical restoration masonry trade is unregulated and largely underestimated. Turnbull Masonry offers the affordable first-class solution for quality historic restorations you can count on. We guarantee to get the job done right while preserving the sanctity and value of a building’s history.